Lancaster County (pop. 79.089) is on the border with North Carolina. 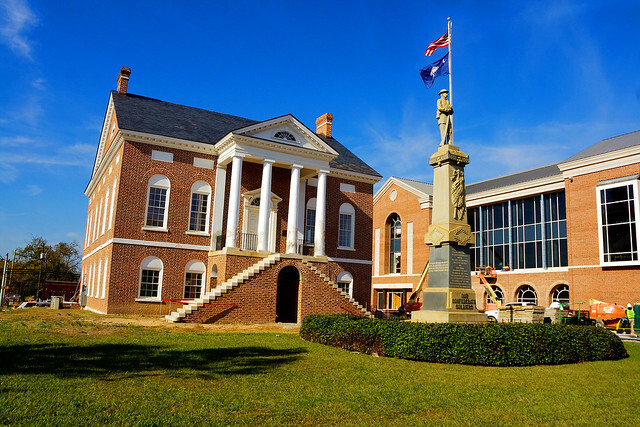 It’s one of four Lancaster counties in the U.S.
President Andrew Jackson (1767-1845) was born in Lancaster County; he is the only president born in South Carolina. The county seat is Lancaster (pop. 10,160). The Lancaster County Courthouse was in continuous use from 1828 until it was badly damaged in an arson fire in 2008. The Haile Gold Mine, near the town of Kershaw (pop. 1,803), was one of the first operating gold mines in the U.S. Gold was first discovered there in 1827. 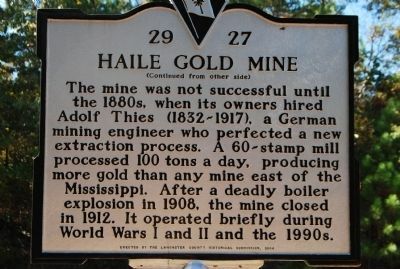 This entry was posted in South Carolina and tagged Haile Gold Mine, Lancaster, Lancaster County.